The winner will receive $23,000 in loans and services but must stay in Skowhegan as part of the deal. SKOWHEGAN — Organizers of the second Entrepreneur Challenge are eyeing new safeguards and requirements for the program that offers thousands of dollars in business loans and services after last year’s winner left her downtown storefront after a little over a year to return to Smithfield. The challenge, which opened registration on Sept. 15 and is sponsored by Main Street Skowhegan and Skowhegan Savings Bank, is for anyone looking to start or expand a business in Skowhegan. The program features a series of seminars to provide participants with in-depth information about starting a business. Participants will hear from small-business owners about their experiences and from business professionals about insurance needs, financing options and required permits for starting a business in Skowhegan. For more details on the Skowhegan entrepreneur challenge, contact Main Street Skowhegan by phone at 612-2571, email [email protected] or check out mainstreetskowhegan.org. This year, the winner receives $23,000 in cash and business incentives, including a $10,000 forgivable loan and other donated services aimed at jump-starting a fledgling enterprise. 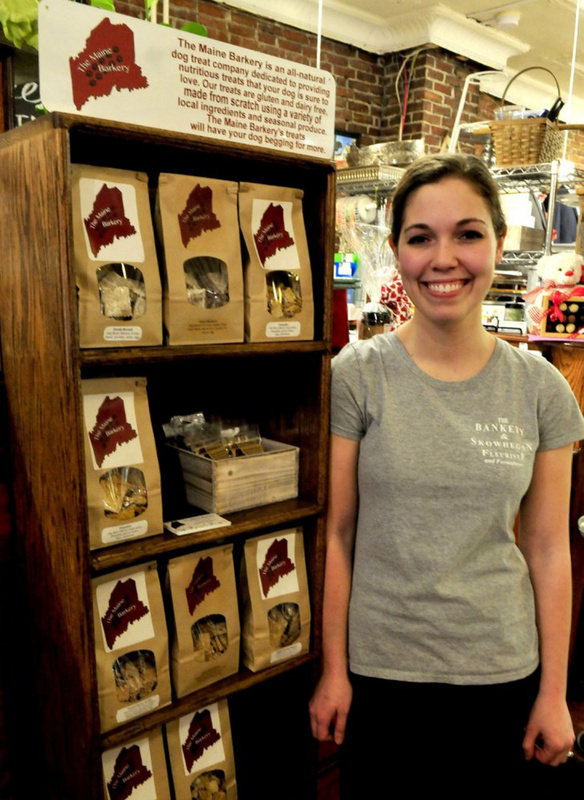 This year’s challenge comes with some new built-in safeguards after the program’s first winner, Amanda Clark, of The Maine Barkery organic dog treat business, closed her new downtown shop at 134 Water St. earlier this year. Clark, then 21, was declared the winner of the first Challenge in February 2016. Clark was awarded a $20,000 incentive package, which included a $10,000 forgivable loan from Skowhegan Savings Bank, commercial storefront space, Internet access and phone lines from Bee Line Cable, bookkeeping services from Tax Pro, website design and development from Your Designs Unlimited, carpentry services from Dionne & Son Builders and other free legal, accounting, banking, marketing and insurance services. Clark did not respond to requests for interviews this week. The Maine Barkery website is still under construction, and there was no answer at the phone number listed for the business. Just before Clark closed her shop this spring, she said she wanted to concentrate on the wholesale aspect of her business, rather than the retail side. With a new baby, she said moving back to her original space in Smithfield made sense. Hight said the committee is putting new requirements in place this year to require the next challenge winner to open and stay open in Skowhegan. Hight said Clark gets to keep the $10,000 as long as she stays in business long enough to fulfill Skowhegan Savings’ requirements. At the time of the challenge, she had eight wholesale accounts, which have grown to more than 40, and she is looking into national distribution, he said. Clark is building on to her home in Smithfield to provide more space, according to Hight. Vicky Alward, at Skowhegan Savings, agreed with Hight, saying that because Clark is still in business, she is meeting the requirements of the initial challenge. Alward said Clark used the loan to buy commercial ovens and refrigeration. She said although Clark no longer operates in the Water Street storefront, she does have a revised business plan focused on the wholesale part of the business, which is doing well. 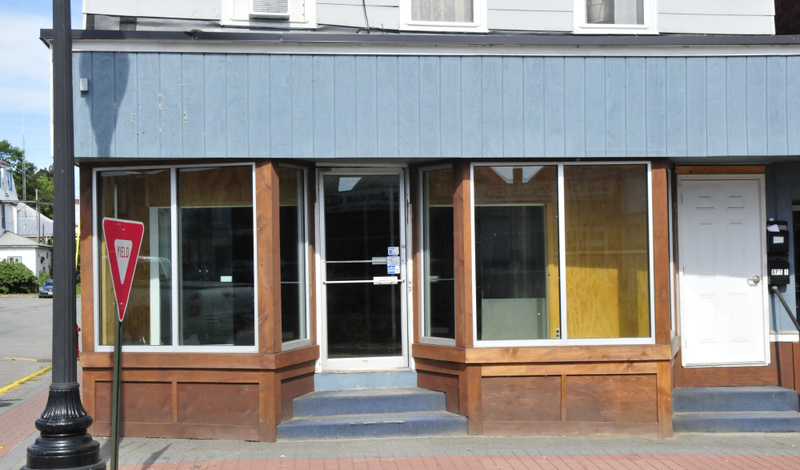 “We believe the Entrepreneur Challenge was still a success, even though she doesn’t maintain a storefront, but that wasn’t a requirement of the loan,” Alward said. As for the other services Clark was awarded, some were used, and what Clark did not need was given to the other participants in the challenge. Alward said the word “challenge” also applies to running a business as a young mother in downtown Skowhegan. She said opening a storefront “for significant hours” for a product where she actually had on-site production — the commercial ovens and refrigeration were in the back of her store — was less important to the success of the business than getting the product out to an increasing number of wholesale customers. Joel Greenwood, of the Kennebec Valley Council of Governments, the contracted planner for the town of Skowhegan, said his organization has helped administer forgivable loans with some success, working with applicants and financial backers. He said the benchmarks are audited every year and if applicants meet those benchmarks, the principal is forgiven. By benchmarks, Greenwood said the criteria include job creation, property purchases and renovation and private investment. Hight said so far there are four contestants for this year’s challenge. Registration will continue until the first seminar Oct. 11, called part one of “Starting Your Maine Business.” Finalists are announced in January, a winner will be selected in February and the business must be open by June 2018. Contestants will learn how to craft a business plan from start to finish, and they’ll compete for a benefits package of more than $23,000 by submitting their completed plan and presenting their business idea to a panel of judges. The challenge last year started out with 10 contestants and was whittled down to four finalists. Virginia Jewell, owner of Ginny’s Natural Corner health food store on Madison Avenue, was runner-up in last year’s Entrepreneur Challenge. She said she won’t be participating in the challenge this year, but added that she learned a lot from the seminars in 2015-16. Ginny’s now has five employees.